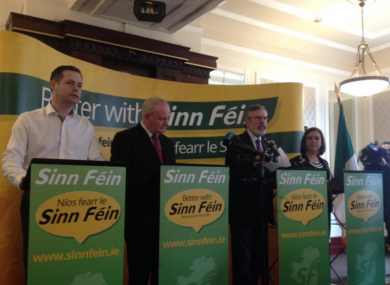 The Sinn Féin leader was speaking at a press conference in Dublin this afternoon. SINN FÉIN LEADER Gerry Adams has said that the son of a prison officer killed by the IRA over three decades ago has given him the names of two people the family believes to have been involved in his death. Speaking to reporters this afternoon, Adams urged anyone with information about the killing to contact gardaí. “It’s up to the gardaí. He did give me names but these are allegations,” he said. These are very serious charges. This man should not have been shot … I’ve made that very clear. The force has appointed a detective superintendent to investigate the matter and liaise with the Stack family. Adams said he has met and listened to members of the family but is not in a position to investigate allegations about the murder. “This is not an election issue for us,” he added. 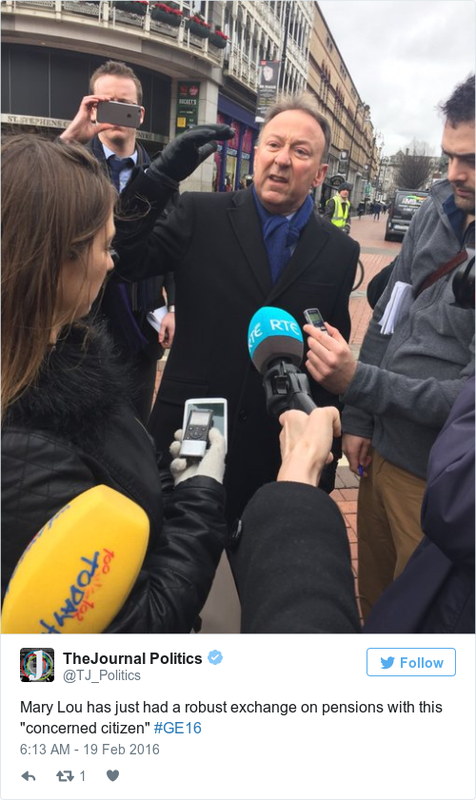 Speaking to TheJournal.ie this afternoon, Foreign Affairs Minister Charlie Flanagan, who knew Stack, said: “Gerry Adams should use this information now to ensure that the garda investigation is a worthwhile exercise. It’s not sufficient for Gerry Adams to keep this information to himself. He has been given certain important information. He needs to actively use this information to ensure that the murder investigation can be intensified. The Sinn Féin leader also criticised media coverage of the party during the election campaign. The party claimed earlier this week that RTÉ News has been refusing to broadcast interviews with Adams or cover recent press conferences. The national broadcaster, however, has denied excluding Sinn Féin from its programming. “The media are players. Independents News and Media are players,” Adams said today. It’s a bit difficult [for members of the press] that it’s not just the old set-up of Fianna Fáil and Fine Gael anymore. We’re here and here to stay and the media has to start reflecting that. Adams said voters will have a choice this Friday between tax cuts and quality public services. “If €4 billion is taken out of the tax system, the consequences will be more elderly people on hospital trolleys, more children in emergency accommodation and more families struggling to survive,” he said. Instead of reducing the tax base, Adams said, Sinn Féin will “fix the chaos in our hospitals, end homelessness and ease the burden on families”. Flanking him, Northern Irish Deputy First Minister Martin McGuinness said members of the public appreciate the role the party has played in the north and that issues of the past are not being raised on the doorsteps. McGuinness said that neither Ian Paisley or Peter Robinson had recriminations with him about the past during the time they worked together. He also expressed disappointment at the DUP confirming its intention to campaign for Britain to leave the EU. Mary Lou McDonald was critical when asked about the “concerned citizen” who confronted her in Dublin earlier this week. It later emerged that the man in question is Fergus Crawford, the CEO of the Irish branch of Swiss investment firm Sarasin and a former employee of ACC Bank. The conference comes after Sinn Féin saw its support fall by four points to 16% in the latest Red C poll. Fine Gael was up two points to 30% in the poll, published in today’s Sunday Business Post, while support for Fianna Fáil and Labour remained unchanged at 18% and 8% respectively. Email “Gerry Adams: I've been given the names of Brian Stack's alleged killers”. Feedback on “Gerry Adams: I've been given the names of Brian Stack's alleged killers”.